Nikolay Tokarev is a Russian businessman and oligarch. He is the president of the Russian pipeline company Transneft. Tokarev was born in 1950 and graduated from Karaganda Polytechnic Institute in 1973. He was reportedly a KGB officer in East Germany, where he met and allied with KGB officer Vladimir Putin. Between 1996 and 1999 Tokarev worked for the state Presidential Property Management Department where Putin's title was deputy chief in 1996 and 1997. Tokarev has been president of Transneft since October 2007 and a member of the company's board of directors since June 2009. 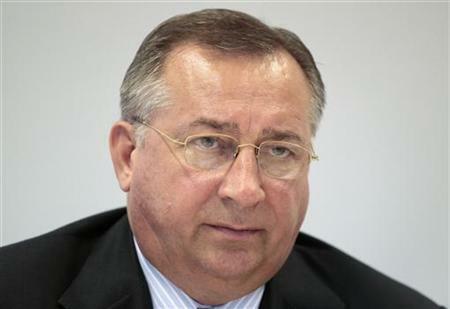 From 2000 to 2007, he was president of the Russian oil company Zarubezhneft. The son of the Attorney General carved up the budgets of Russian Railways. Association of e-commerce companies (ACIT) hopes to tighten regulation of business. In that way, the officials want to force foreign companies to carry out the decisions of Russian courts and agencies. Tender for a media campaign initiated by Artek ended up in a scandal. The largest PR groups were denied the participation because of the brief, which had been incorrectly worded by the client. Now one of the failed participants is preparing a claim to the FAS, asking to perform the second tender. Pharmaceutical company Evalar is one of the Russia's largest manufecturer of biologically active additives. At the same time, the Federal Antimonopoly Service is constantly demanding the company to stop advertising of dietary supplements as drugs or agents that have a therapeutic effect. Safmar Group acquired 100% of Eldorado, one of the largest electronics and appliances retail chains. According to the information from the RBC sources, the asset will be combined with Tekhnosila chain, which is owned by the Gusteriev-Shishkhanov's group of companies.